Marc Carlton gave us a wonderful, illustrated talk on wild bees (everything but honey bees) and I heard a lot of things that were new to me. For example, did you know that bees evolved from wasps? 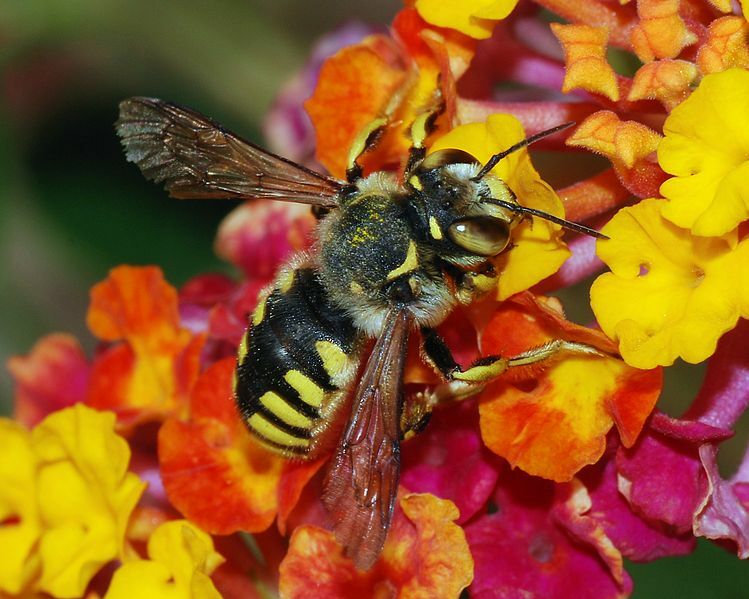 Wasps apparently feed their young with live prey but, when flowering plants came along, millions of years ago, gradually the nectar drinking bee evolved from the carnivorous wasp, providing the plants with one very effective means to reproduce. There are thousands of types of bee in the world; over 300 species of bumblebee in the UK alone. 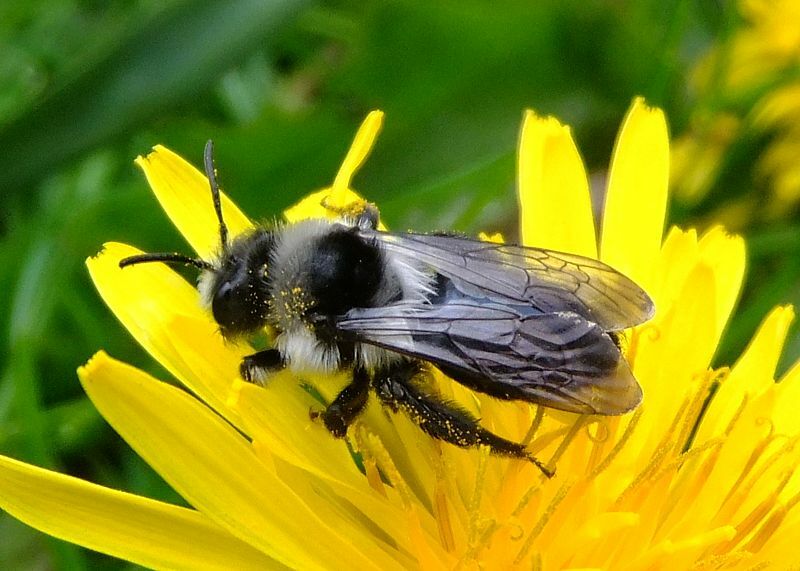 Some are huge but others are tiny little creatures that burrow in your lawn; long- tongued bees drink from tubular flowers whilst shorter tongued bees have to drink from open flowers like daisies. But even in the bee world, there are cheats who drill holes in the side of flowers so that everyone can get at the sweet nectar, regardless of tongue size! 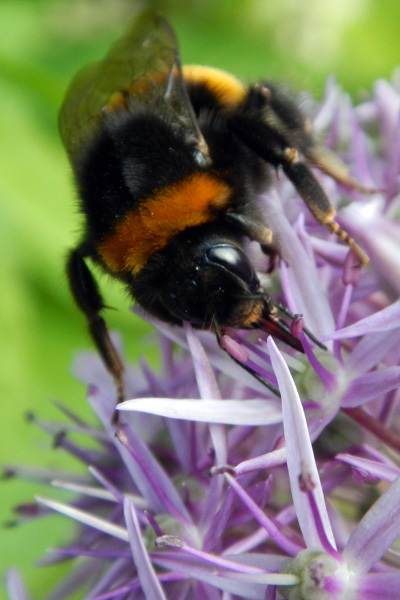 Did you know that bumblebees can’t hover but just land straight onto a flower? When it comes to identification, Marc acknowledged how hard that can be sometimes, especially when there a lot of natural bee mimics, for example hoverflies and bee-flies. I certainly struggle with this one! We learnt about the type of flowers that attract bees to our gardens and even how to bring in a single species by planting a particular flower that it simply can’t resist. Marc showed us how to build a bee hotel and how bees make their nests in hollow tubes, earth, wood and a host of other places. All in all, it was a wonderfully educational and entertaining talk. If you want to find out more, visit Marc’s website here or you can find quite a good article on Wikipedia, which is also the source of the bottom two photos on this page. This entry was posted in Uncategorized and tagged Bee friendly gardens, Bee hotels, Bute Park, Friends of Bute Park, Presentation, Wild Bees. Bookmark the permalink.